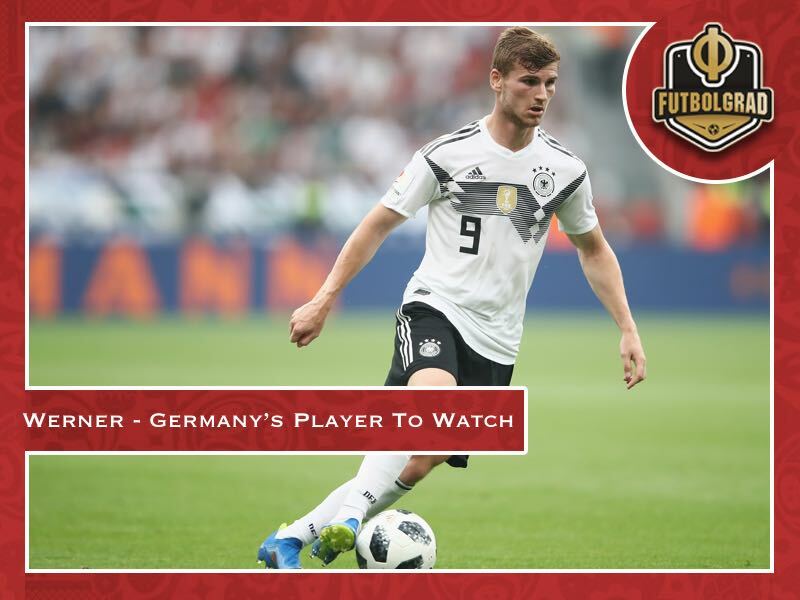 There will be plenty of keen eyes watching how Timo Werner performs at the 2018 World Cup in Russia, amidst a wealth of recent speculation that some of the biggest clubs in Europe could be ready to pounce after the tournament, with the player himself apparently keen to take the next giant leap in his career. Although he wasn’t amongst the most prolific marksmen in the Bundesliga last season, Werner did lead the scoring charts for RB Leipzig in the competition, netting 13 goals in 32 appearances. His creativity was just important too, ranking highest in the team with 7 assists, which also went a long way towards helping his club squeak into the Europa League positions. 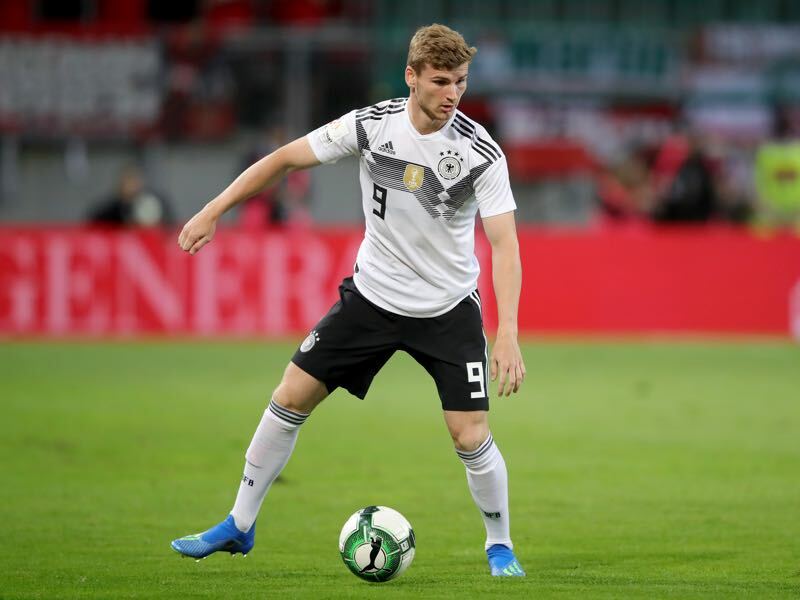 Such a positive overall attacking contribution will be just as highly valued by German national team boss Joachim Löw, given that Werner has been an impressive addition to the side since debuting in March 2017 during a friendly against England. After making that first step, the 22-year-old went on to star in the 2017 Confederations Cup, scoring his first two international goals against Cameroon, then a third against Mexico. He also laid on the assist for Lars Stindle to score the winner against Chile in the final. “He’s really well suited up front as a number nine, with Özil and Müller, so they understand each other quite well and quickly. I expect that he might be starting,” concluded Ballack, certain that Werner will feature strongly in the tactical plans and team selections of head coach, Joachim Löw, as Germany aim to achieve the rare feat of winning back-to-back World Cup titles. Undoubtedly, there will be a number of club managers and scouts at the World Cup, carefully analysing and watching Werner’s every action. Currently valued at €60 million by transfermarkt.comand rumoured to be seriously considering a move away from RB Leipzig, there are reportedly a host of clubs weighing up the possibility of entering into negotiations with his club. After their bid to sign French international Nabil Fekir appears to have stalled, 2017-18 Champions League finalists Liverpool have been linked with turning their attention to Werner, though Manchester United and Bayern München are also keen according to goal.com sources. For now, the player must keep his club ambitions at the back of his mind and focus on helping Germany with potent displays at the World Cup. The rest will inevitably follow in due course, as he steps towards realising his world class potential.